Today my mission is to do something about Art, not just write about it. Call it a Movement and–if you agree–let’s see what we can do together. “Why not the Smithsonian?” That’s what I thought as I was reading all this in the newspaper last week. More specifically, why not The National Museum of American History? It’s home to Dorothy’s ruby slippers from The Wizard of Oz; Julia Child’s kitchen; the original ‘Star Spangled Banner’; a special section on Toys & Childhood and another called, The American Presidency: A Glorious Burden. Can’t you see Eric’s Lego masterpiece fitting right in? I emailed Michael Granberry, the journalist who wrote the article in the Dallas paper, and a short time later I had an email from Eric thanking me for the idea. He said he’d be happy to donate it to the Smithsonian (and disassemble and reassemble it); did I know anybody there? Unfortunately, I don’t know anybody at the Smithsonian, but maybe somebody reading this blog does. Eric provided me with the photos you see here, and there are many more. His art piece is the size of a ping-pong table. It sits in his mother’s basement in Indiana waiting for a new home. Someday soon she may downsize, and what then? 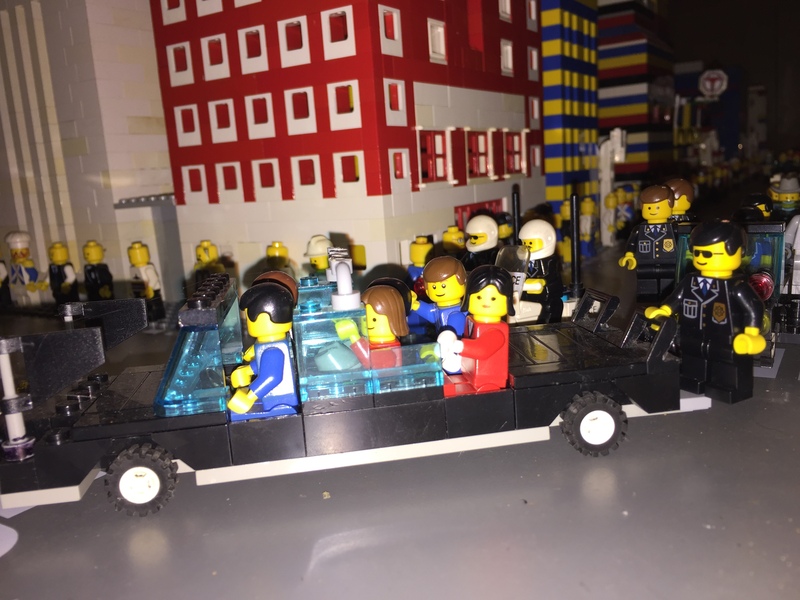 Today Eric works in corporate marketing in a Chicago suburb, but for one brief shining moment he was a young boy with a love of Legos and the artistic vision to create this homage to a fallen President and that fateful day. Maybe The Sixth Floor Museum is reluctant to commit because the museum itself is the real deal. The sixth floor of the old Texas Book Depository building is where Lee Harvey Oswald fired his shots from a window overlooking Dealey Plaza. The exhibits in the Dallas museum capture the horror of that day as well as the good, bad and ugly of those tumultuous times. However, not everyone interested in this important piece of American history makes it to Dallas. Many more people visit the Smithsonian. That, in my opinion, is the more perfect home. 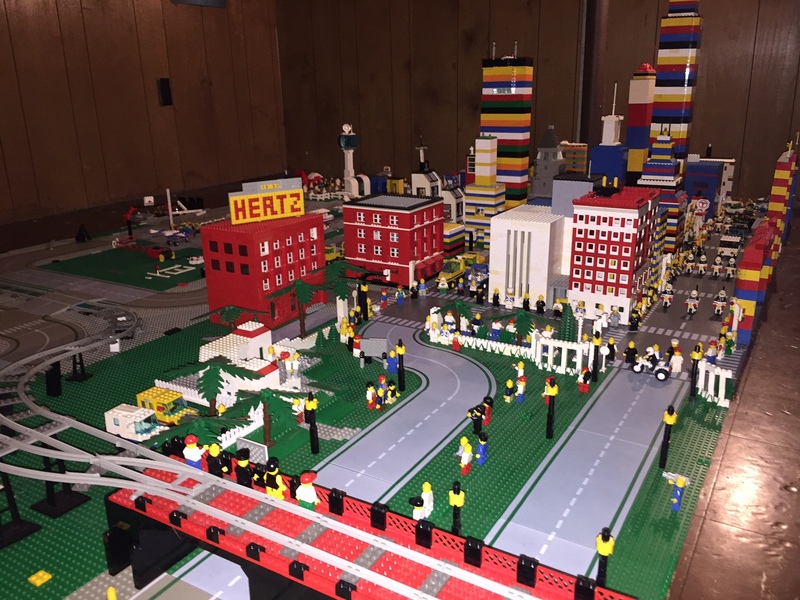 Or, if you have another idea for a home for this Lego masterpiece, please share it. From the outset I wanted Shouts from a Third Act to zero in on Art and its power to illuminate–to lift our battered hearts and minds out of the muck–so I’ll refrain from talking politics except to say I woke up with a killer hangover on Wednesday even though no alcohol was consumed Tuesday night. I think we can all agree it’s been an extremely long and contentious Presidential Election Year. Maybe, I thought, Dr. Strange would be a better cure than a bottle of Advil. Cumberbatch plays brilliant extremely well. In the current film, he’s arrogant neurosurgeon Dr. Stephen Strange, but his beloved hands fail him after a horrific car accident. (A clip from that scene might resonate if used for a Don’t Text and Drive Campaign.) However, as sometimes happens in life, his misfortune is a turning point for him to grow as a man–and a savior. Instead of saving hundreds of people as a brilliant surgeon, he goes on to save millions of people–and ultimately mankind–as a supremely talented sorcerer. It’s the classic Good vs. Evil storyline, a special niche in which fantasy and comic book heroes excel. The Bard’s memorable words rang in my ears as I was leaving Dr. Strange. As they did after watching the Lord of the Rings trilogy a number of years ago. Comparing the two might be like comparing grapes to plums in the sense that the Academy Award-winning trilogy was based on the high-brow novel by J.R.R. Tolkien, an Oxford University professor, whereas Dr. Strange rose from the pages of a comic book written by a seemingly average Joe–Steve Ditko. And yet even comic books can dispense wisdom and give us “a-ha” moments. In the course of his sorcerer training, Dr. Strange acquires the magical power to travel to other dimensions, and the special effects in the film are dazzling, inventive enough to cure Election Night hangovers or whatever else ails you–at least for a couple of hours. Only this morning did a strange thought occur to me. Donald J. Trump has just won the highest office in the land. Hillary Clinton just lost a race she was expected to win. Chances are good she will never be our first female President. However, after being denied her greatest goal, what if she goes on to achieve an even greater good for the world which nobody now can foresee?